Being diagnosed with breast cancer is a devastating experience for any woman. But for those who cannot afford private healthcare, the experience is worsened by a desperate reliance on a public health care system that’s faced with high demand and limited means. A large percentage of women who have breast cancer in South Africa receive treatment from hospitals in the public health sector, and due to an immense and increasing strain on resources like theatres and hospital staff, many of these patients are left waiting for up to 14 weeks for surgery. 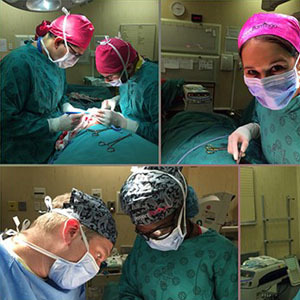 Specialist general surgeon, Dr Liana Roodt, who treats many of these women at Groote Schuur Hospital in the Western Cape, notes that this wait is often accompanied by feelings of isolation as her patients try to make sense of a daunting diagnosis. Dr Roodt watched these patients grapple with the realities of a breast cancer diagnosis as they navigated the disease in what often was (and remains to be) a chaotic environment. And this is what led her to found Project Flamingo, a non-profit organisation that funds timely surgery for newly-diagnosed and existing breast cancer patients. Since its inception in 2010, Project Flamingo has grown to help hundreds of women with breast cancer. A few surgery lists per year are also dedicated to assist patients with colorectal cancers. In addition, Project Flamingo hands out around 200 pamper packs per month to newly diagnosed breast cancer patients at Groote Schuur and Tygerberg – a token of hope and a thread of care for these patients. For the last two years Dr Roodt has been a consultant surgeon at Groote Schuur Hospital in Cape Town. Come October, she will be dividing her time between Groote Schuur and Advanced Health’s day hospital in Vergelegen, whilst continuing her non-profit work with Project Flamingo. In support of breast cancer awareness month, Advanced Vergelegen will sponsor four surgeries through Project Flamingo in October. The group will also donate a percentage of its revenue to Project Flamingo, between October 2017 and mid-2018 to assist patients in the fight against breast cancer. 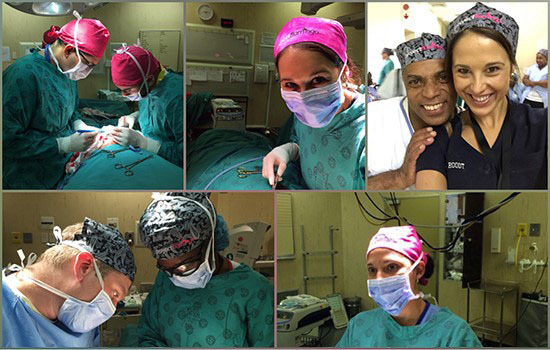 “Dr Roodt has a passion for cutting-edge breast care, surgery and breast-conserving cancer surgery,” says Bibi Goss-Ross, group operational manager at Advanced Health. “We are totally supportive of Project Flamingo and are delighted to be able to assist this very worthwhile initiative,” concludes Goss-Ross.